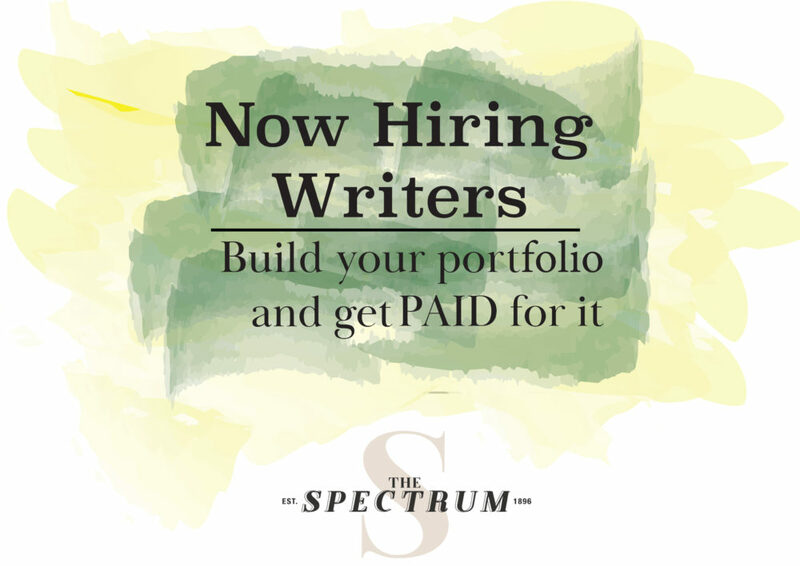 BRITTANY HOFMANN | THE SPECTRUM While the choose-your-own adventure was fun, the story was a flop. In anticipation of the release of Netflix’s newest season of “Black Mirror,” there were rumors spreading it would explore the realm of free will with a choose-your-own adventure style viewing. With the previous seasons, I was prepared to have my mind blown by a dark and twisted movie. Frankly, it was quite the opposite. The movie takes place in the 1980s and focuses on the life of video game developer Stefan Butler. 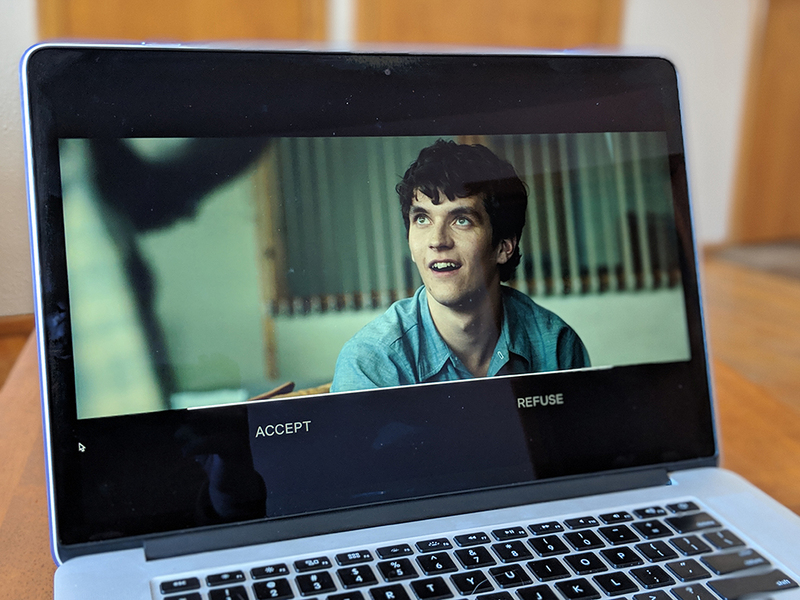 Stefan creates a choose-your-own adventure game based off the fantasy novel “Bandersnatch” and presents it to the well-known video game company Tuckersoft. Stefan is given an intense deadline of just a couple months to have the video game finished, and he begins to spiral as he foregoes sleep to meet the deadline. To cope with the guilt and the hatred toward his father, Stefan began seeing a therapist. Now, bear with me. This is going to be a wild ride full of spoilers. While it was exciting to be a part of the way the story played out, I was disappointed with the five “main” endings. During a therapy session, Stefan confesses that he thinks he’s being controlled by someone from the 21st century, which is you, the viewer. One of the decisions you get to make is to either tell him you are controlling his decisions through Netflix or it is White Bear that is controlling him — a reference to a previous season. His therapist, Dr. Haynes, expresses that he can’t be in a movie because if he were, things would be much more dramatic. When tensions come to a head between Stefan and his father, you are given the choice to have Stefan either kill his dad or ask him to leave him alone. If you choose murder, Stefan kills his old man and he is finally able to focus on finishing “Bandersnatch” in peace. This results in him lying to his therapist about his dad and deciding he needs to give the player fewer options while making decisions for them, thus giving them the idea they have free will in the game. His game is given a five-star review, but at what cost? Once the game is released, it is revealed that Stefan murdered his father and the game is pulled from shelves. This ending concludes with another coder, Pearl Ritman, discovering Stefan’s old game buried in a hidden crate and rebooting it for a streaming platform — Netflix — with the viewer being able to make decisions based off Stefan’s real life. If you had chosen the other route for Stefan during his therapy session where he jumps out of the office window rather than fighting his therapist, it would have been revealed that he was actually on a movie set. He has a lapse in memory and doesn’t realize he and everyone else are acting on a set and the director tells Stefan to take a break. In the situation in which you choose to have Stefan murder his father, there is another outcome besides the one that ends with the game getting rebooted, and it’s arguably the most boring. Stefan goes to jail before the game is even released and ends with him etching the White Bear symbol into his cell wall. To me, this ending was the one that held the most value because it was emotional and made the most sense. When Stefan’s father takes away his stuffed rabbit as a child, which causes his mother to take an alternative train that ultimately results in her death, this ending ends with Stefan dying on the train with his mother. Instead of Stefan being unable to find his rabbit the next morning, he sneaks out of his room during the night after his father has taken the rabbit and redeems it from a safe. Stefan can then get on the rain with his mother that tragically kills the both of them. It is said that this ending is the true ending. The thing that drew me to “Black Mirror” in the first place was its dark and twisted take on our technological reality. Unfortunately, “Bandersnatch” fell short and the only wow-factor it brought was the breaking of the fourth wall. I had high hopes for this release of “Black Mirror,” but they could have benefited from a full season rather than a movie.